Provide your family with an opportunity to have dinner prepared by professional chefs served in your own dining room by subscribing to a meal delivery service. 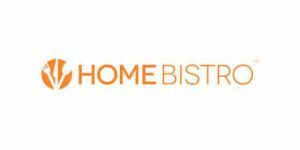 Read our comprehensive Home Bistro vs. Personal Chef To Go comparison and choose a meal delivery service in accordance with your preferences. Personal Chef To Go allows you to enjoy restaurant-grade meals at reasonable prices and easily adjust your meal plan to your lifestyle. Personal Chef To Go features one weekly menu for its customers to choose from. Personal Chef To Go offers 12 new meals each week. Personal Chef To Go does not offer options for special diets but instead caters to omnivorous foodies. It provides chef-prepared, restaurant-grade gourmet dinners mostly inspired by the Italian and traditional American cuisines. Some meals are free from gluten, but be sure to check the allergen info before ordering. Personal Chef To Go meals are prepared and delivered fresh and made of healthy, all-natural ingredients. Most Personal Chef To Go meals are under 400 calories and normally come in 12-13 oz. portions. They are rather well-balanced but may contain significant amounts of cholesterol and saturated fats. With Personal Chef To Go, you can modify, pause or cancel your subscription anytime. The weekly cutoff time is Monday at 11:45 am EST. Personal Chef To Go doesn't offer cash refunds. However, if you are not satisfied with an item in your delivery, you can ship it back to the company and receive a replacement. The company will cover the return shipping cost. Definitely not restaurant-grade food, but not bad for such a cheap meal delivery. AWFUL!!!! REALLY, REALLY BAD!!!! No flavor, no seasoning, meat like rubber, small servings, VERY expensive for nothing. They are also quiet abt the fact that you will continue to receive the food until you cancel. I thought I would receive it only if I ordered it. Nope! They also delivered a box to the wrong address!It was just terrible. Do not buy!!! They mailed an entire box to our address instead of my Aunt's. We had no idea another would be sent. If we had, we would have cancelled it because the food is AWFUL! We called my Aunt and told her we had received another box. She didnlt want it becasue it was so bad so we decided to try it. I ate four of the meals and each one was just awful. There is little or no seasoning, they tell you to cook it for 2.5 minutes when it needs 5 but by then half the meal is overcooked. The gravy that comes with turkey has ZERO flavor and is watery. The turkey was like rubber. The beef dinner was the same! REALLY bad tasting beef with a rubber texture and some kind of sauce with NO flovor! That seems to be the trend with this company. I did have the shrimp which was somewhat better but it had a chemical taste to it. Even if the food was edible, the price for what you get is rediculous!! REALLY rediculous.Oh - they are also quiet abt letting you know you will keep getting the food until you cancel it. I thougt we would get it only if we ordered it!Please, look elsewhere.